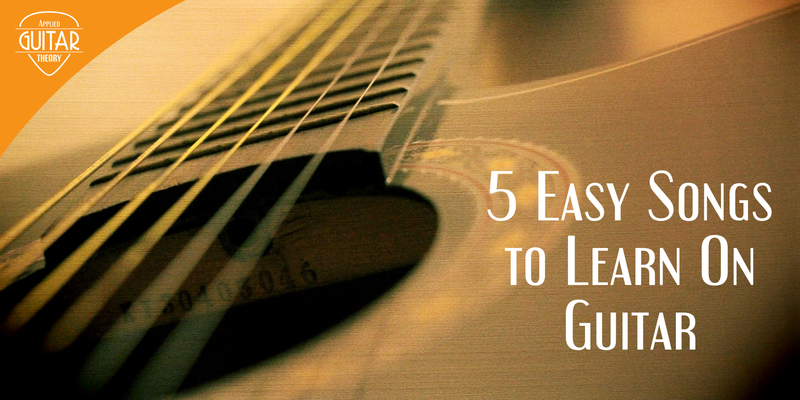 One of the more challenging obstacles as a beginner guitarist, or if you’re just new to guitar theory, is figuring out how to determine the key of a song. 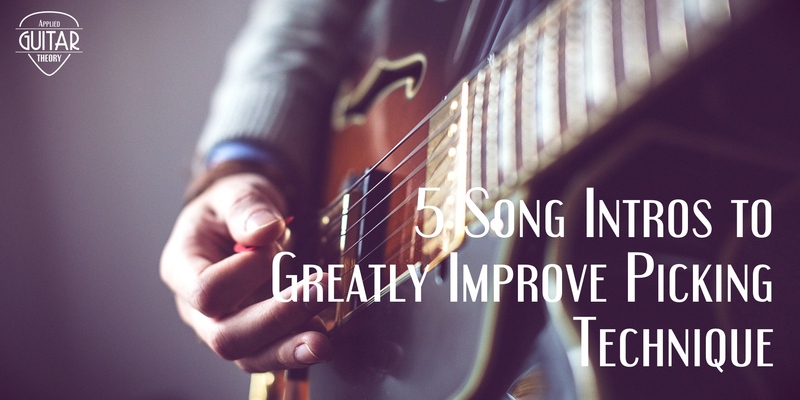 Some songs stick to standard chords within a key, which makes this task much easier. Other songs, however, are not as straight forward and take a little more effort to figure out. This lesson breaks down the common methods that help with this process. The key of a song is the note or chord the music is centered around, the tonic. For instance, if you were playing in the key of C, the C major chord would be the tonic, or 1, chord. You can view the guitar chord key chart to see the rest of the chords in the key of C.
The easiest way to figure out the key of a song is by using its key signature. The number of sharps/flats in the key signature tell you the key of the song. A key signature with no sharps or flats is the key of C (or A minor). The table below summarizes the key signatures. What if you don’t have a key signature to tell you the key of a song? You have to go about it a bit differently. It takes a little more work, but using the steps below can make it a little more methodical. On which chord does the song end? In many cases, the chord on which the song ends will be the key of the song. This is because ending on the I chord gives the song resolution. However, this isn’t always the case. To confirm the key you may need to chart the chords to see which key they fit. Sometimes figuring out the key of a song takes laying out the chords and seeing where they fit. 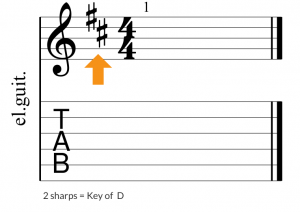 Unless you have keys memorized really well, you’ll probably want to reference a key chart. If you look at the key chart you’ll see that these chords come from the key of G.
Note that these same chords are contained in the relative minor of G (Em) as well. If the previous chord progression also contained the Em chord, you would have to determine the key by listening to the song to see what the tonal center was. If the song has a sadder feel to it, you would consider it to be in the key of Em. Conversely, if it had a happier feel to it the key would be G.
You can sometimes speed up the chord mapping process by noticing patterns in the chords. Take a look at the chord qualities of major/minor keys in the table below. Learning how to determine the key of a song takes practice. The more you do it and the more you develop your ear, the easier it becomes. 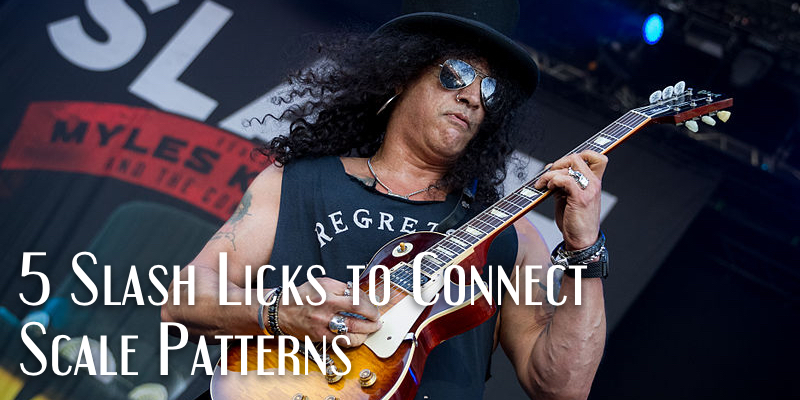 Not all song chords fit neatly into a given key, but the methods outlined here can get you moving in the right direction.